A Model Railroad Empire – Creating Your Dream – SMARTT: Scale Models, Arts, & Technologies, inc. 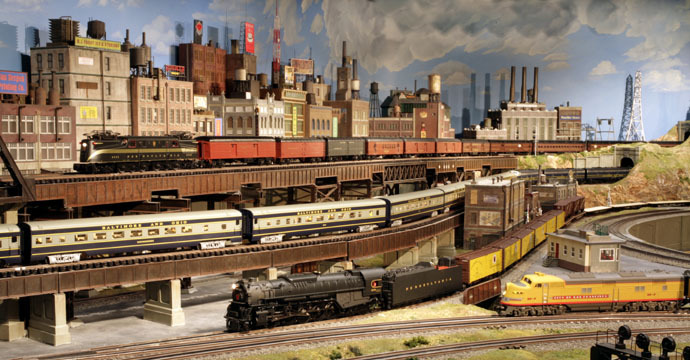 Scale Models, Arts, and Technologies, Inc., founded by Michael Hart in 1995 in Miami, Florida, is the world's leading purveyor of fabricating custom model railway layouts. SMARTT brings this exciting world exclusively to the luxury market, focusing primarily on discriminating enthusiasts, private collectors, family entertainment, and corporate clients alike. Model railways are the ultimate family home entertainment center - providing thrills, laughter, and awe, while at the same time serving as a fascinating educational resource that continues to grow. These unique displays help teach kids and grown ups alike a myriad of skills - from design, architecture, and engineering, to urban planning, creative arts, electronics, and especially discipline and patience. All while gracing one's home as a one-of-a-kind piece of three dimensional art and a lifelong treasure. SMARTT began as a culmination of Mr. Hart's desire to offer only the highest fine scale museum quality in craftsmanship and realism in producing these unique displays, while insuring that their operational reliability and durabilty delivered a product that lasts a lifetime. Let SMARTT bring your dream to life. Find Out How . . .